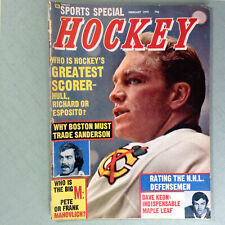 Here is one Sports Special Hockey Magazine February 1972 with Bobby Hull from the Chicago Blackhawks on the cover. February 1972. Sports Special Hockey Magazine. Here is one March 1972 Hockey Pictorial magazine with Carol Vadnais of the California Golden Seals on the cover. 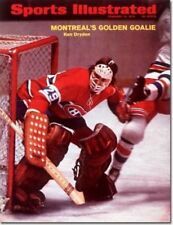 Hockey Pictorial Magazine March 1972. Vida Blue of the Oakland A’s is featured on the front cover. Featuring hundreds of player and action photos, key records, 1972 preview and player profiles. 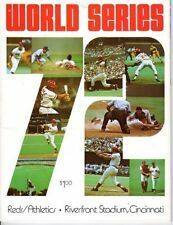 Up for sale is an Illustrated Digest of Baseball 1972 Edition. Good condition. Covers are rough and barely hanging onto the spine. Pages however are very good to excellent with nominal ageing and wear. Has rubber stamp on cover. Sports Illustrated Catfish Hunter. October 23, 1972, red hot against the Reds. See photo. 1972 Joe Namath New York Jets Sports Illustrated Label Removed. Very good condition. Magazine is in excellent condition (See Scan)! 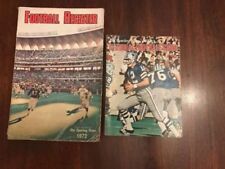 1972 PETERSENS PRO FOOTBALL ANNUAL. Magazine is good condition with normal wear due to item age, tight with no loose pages (See Scan)! 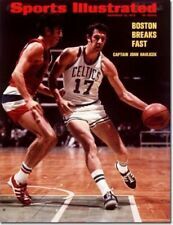 This is a newsstand issue of Sports Illustrated featuring Lee Roy Jordan on the cover. It does have "First Run Copy" stamped on the cover. A card I describe as nr.mt-mt. You are buying a August 21, 1972 Sparky Lyle New York Yankees Sports Illustrated. 1972 Willie Mays New York Mets Sports Illustrated. Shipped with USPS First Class Package. Good condition. MAGAZINE IS IN EX SHAPE. MAGAZINE DISPLAYS VERY NICELY. HIGHEST PRICES PAID. 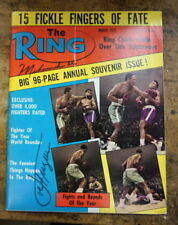 This is a July 1972 The Ring Magazine, Exclusive Pictures-Clay in Japan, with Cassius Clay on the cover. It does have a center crease. Item: Sport Magazine August 1972. Feb 28, 1972. June 5, 1972. This sale is for a Sports Illustrated Magazine.